Rightfully considered to be one of the best holiday destinations in all of Europe, the city of Lisbon offers a fantastic combination of historical districts, vibrant culture, and beautiful natural surroundings. The local residents are ready to introduce you to their beloved city and a number of city tours depart daily throughout the year to help you get to know the Portuguese capital. You can easily spend a few days in Lisbon visiting traditional taverns and Fado houses in Chiado, stepping into the fashionable Barrio neighbourhood, or soaking in the history of the Alfama district. 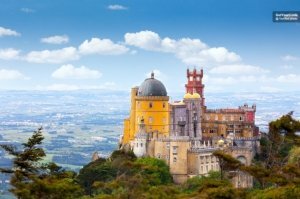 If you have a bit more time then there are recommended tour operators who will take you out of the busy city to see the wonders of the Arribida Nature Park, to stroll the streets of quaint fishing villages, to kayak the shores of the Portuguese coastline or to visit the whimsical Pena Palace. Getting around the city is simple and convenient with Lisbon’s Hop-On Hop-Off Sightseeing buses and with multi-day city passes which give you discounts to top attractions as well as unlimited use of public transport. If taking buses isn’t your cup of tea then don’t worry, Lisbon also offers you sightseeing bike and Segway tours, and even sunset sailing cruises. This multiday pass is an opportunity to explore the Portuguese capital without pre-booking tours or transport. The Lisbon Card is literally the ‘Key to the City'. Travel stress-free around the city for 1 to 3 days, depending on your preference, and enjoy discounts and freebies at over 26 museums, attractions, and other venues within the City of Lisbon. Save money with unlimited use of Lisbon's public transport systems. 24, 48, or 72-hour Lisbon Card. Free use of public transport. Travellers say that the Lisbon Card is essential for travelling around the city with ease. This 1 to 3-day transport and attraction pass has an impressive 4.6 out of 5-star rating from over 2,000 Get Your Guide users. The only major complaint is that the card is not as useful on Mondays due to museum closures. The Lisbon Card is right for people who want to discover the city, and visit many attractions, without an organised tour. Ideal for visitors who require a flexible vacation. This is one of the bestselling outdoor excursions available from Lisbon, a full-day adventure which will transport you the heart of one of Portugal's most stunning national parks. Travel by comfortable bus from the city to the historic town on Sesimbra. 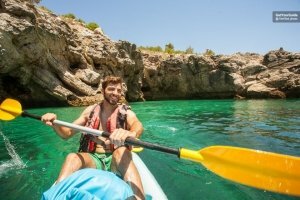 Paddle to caves, coves, and isolated beaches on an open top kayak. 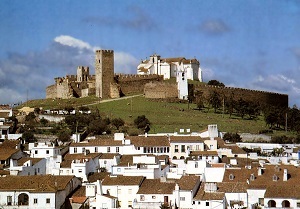 Visit the famous Sesimbra Castle. Most reviews for this tour come from Get Your Guide users who have given this tour a 4.9 out of 5-star rating. Comments say that this is an ‘Awesome day tour' and ‘amazing experience. Most mention the expert assistance of their tour guide and the superb natural beauty of the region. Viator and TripAdvisor users have also awarded this tour 5 out of 5-stars. If you love to be mesmerised by pristine natural scenery, love to be out on the ocean and enjoy being active while on vacation then this tour is tailor-made for you. Dive into the history of the Portuguese Capital, become emerged in the stories of the 18th century earthquake, former dictatorship and 20th century revolution, then resurface to learn about the modern cultural festivals that take place in Lisbon today. Traveller in a small group and tour the city centre with an expert local tour guide. Visit the Alfama District, Barrio Alto, and the San Pedro de Alcantara Viewpoint. Ride on Lisbon's city tram. This 3-hour walking tour has been described as ‘interesting' and ‘enlightening' by over 1,000 Get Your Guide users who have awarded the Lisbon Essential Tour a 4.8 out of 9 rating. Likewise, Viator and TripAdvisor users have said that guides are ‘knowledgeable', ‘articulate' and ‘friendly'. This tour is aimed at people looking for a detailed tour of Lisbon, so if you're interested in history and foreign culture then this tour is for you. This is a full day excursion from the heart of Lisbon to the heart of Arrabida National Park with visits to some of the region's most historic and picturesque towns. An opportunity to visit the Westernmost point in Europe and one of the 7 Wonders of Portugal. Travel by comfortable coach to Cabo da Roca in Arrabida National Park. Enjoy free time in Sintra, Estoril and Cascais. Visit the dream-like Pena National Palace. This is one of Get Your Guide's top selling tours with a 4.4 out of 5-star rating. As a relatively new tour there are only a handful of reviews for this excursion, that said, both TripAdvisor and Get Your Guide users agree that this full-day tour is great day out of the city with excellent tour guides. 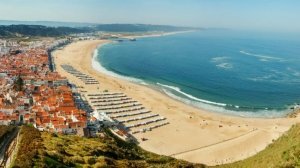 If you are looking for a tour which will let you discover the natural wonders and historic highlights of the Portuguese Coastline then this you is perfect. Great for visitors who are staying in Lisbon and want to visit the countryside without organising personal transport. A fun and informative electric bike tour which will take you the best spots of the city. Not just the locations you'll find listed in your guide book, this is an opportunity to see the real Lisbon. Cycle between the capital's most famous features, explore the city's beautiful squares and discover Lisbon ‘off the beaten path' with an experienced local guide. Learn about the history and culture of the city on an active cycling tour. Travellers say that this is a fantastic way to get active and see the city without getting sweaty! The 2.5-hour trip has an overall 4.8-star rating on Get Your Guide and impressive 5 out of 5 from people who booked through Viator and TripAdvisor. Guides on this tour have been described as ‘fabulous', ‘knowledgeable', and ‘witty'. You don't have to be an Olympic cyclist to join this city bike tour! 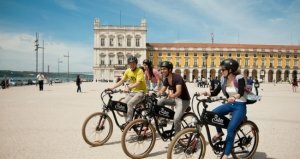 If you're able to ride a bike and have a healthy interest in discovering the city of Lisbon then this tour is right for you. 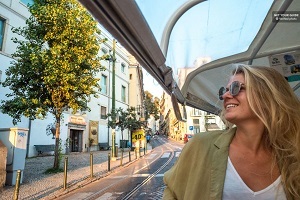 This is a super fun and modern way to see the city of Lisbon. A chance to test out a futuristic mode of transport whilst learning, seeing, and tasting the best of Lisbon. 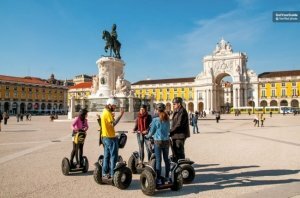 Zip through the busy streets of Lisbon on a fully-guided Segway tour. Pause to admire the Lisbon Cathedral, enjoy panoramas from the city viewpoint, and explore some of the oldest and most popular districts. Travellers have given this tour a 4.8 to 5 out of 5-star rating across 3 booking platforms so if you choose to book the Segway food tour you're guaranteed to have a first-rate experience. Get Your Guide users have described this tour as ‘excellent', ‘fantastic, and ‘Just perfect', meanwhile Viator users praise their ‘terrific' tour guides. If walking tours are simply too slow for your tastes and biking seems a little old fashioned then a city tour by speedy Segway is right for you. Great for foodies and all tourists aged 12 upwards. The most relaxing and romantic way to spend an evening in Lisbon. This is a 2-hour luxury sailing cruise on the River Tagus. Meet your English-speaking guide and captain and head for Lisbon's docs. Enjoy a complimentary beverage as you float along the river. Learn about the city and see a magical sunset. Transfers from Cais do Sodre. 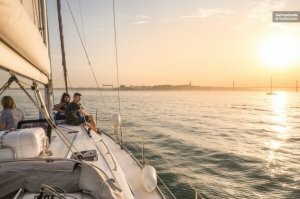 Lisbon sunset sailing tour has a 4.7 out of 5-star rating from over 390 happy travellers who left reviews on Get Your Guide and a winning 5 stars from TripAdvisor users. Travellers have mentioned their friendly captain, they have also described the sunset cruise as ‘amazing' and ‘affordable'. Some comments point out that the transfer is only to Cais do Sodre station and not to Central Lisbon. An evening sunset cruise is naturally aimed at couples however friends and families can also enjoy this magical experience. This sightseeing extravaganza takes you far away from the busy streets of the Portuguese Capital to visit historic villages and locations of breath-taking natural beauty. Travel by comfortable coach to the old town of Sintra and the popular seaside resort of Cascais. 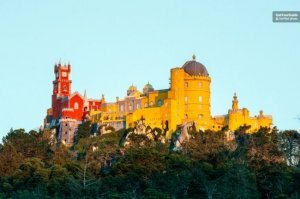 Enjoy free time in each location for sightseeing and visiting the Pena National Palace. Take panoramic photos from the westernmost point in Europe. 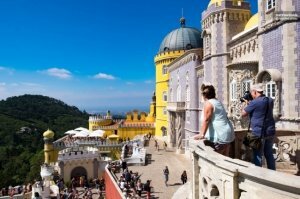 This tour perfect for people who want stress-free travel Sintra, Pena Palace and Arrabida National Park. Suitable for solo travellers, couples and families of all ages. 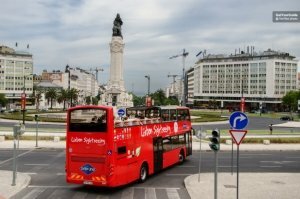 Enjoy the benefits of self-guided city tour using a 24 or 48-hour pass the Lisbon's double-decker sightseeing bus. Enjoy the freedom to explore the Portuguese Capital with over 54 stops around the city and a choice of 4 bus lines. Learn about the city from a multi-lingual audio guide and take in panoramic city views. Take advantage of discounts at venues around the city stay up to date with free onboard Wi-Fi. Multi-lingual audio guide and headphones. This is one of the top things to do in Lisbon. Travellers have given the Hop-On Hop Off bus service a 4 out of 5 rating on Get Your Guide with comments saying that it's a ‘terrific' way to see the city. Ratings on Trip advisor are slightly lower and some customers have complained about services not running on time. A great option for people who want to see a lot of the city without pre-booking organised tours. This is ideal for families or disabled visitors who prefer to travel independently. Let yourself be mesmerised by the by the setting fun from the top deck of a classic sailing boat. A chance to feel the magic and romance for one evening of your vacation in Lisbon. Cruise along the River Targus, passing some of Lisbon's famous sights and well-known monuments. Sip a complimentary glass of wine, local beer or soft drink whilst watching the sunset. This is one of the best available tours from Lisbon with an outstanding 5 out of 5-star rating on Get Your Guide and TripAdvisor. Comments have described it as amazing even in wet weather and ‘highlight of the trip'. This tour also has an excellent 4.5-star rating from Viator users. 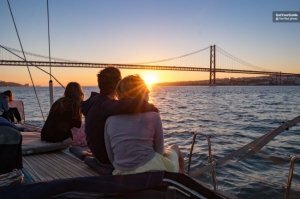 This evening excursion is ideal for people looking for a relaxing small group tour and a unique way to see the Lisbon sunset. Suitable for friends and families as well as couples. This is a transport inclusive, full-day trip from Lisbon to discover the surrounding area. An opportunity to see the Portuguese countryside and learn about the country's historical influences. Enjoy a personal small group tour with an excellent bilingual guide. Visit Obidos, Nazare, and Fatima. Visit Batalha Monastery and Alcobaca Monastery. This tour has a 4-star rating on Viator, a 4.9 out of 5-star rating on Get Your Guide and an impressing 5 out of 5-stars from people who used TripAdvisor to review the excursion. Reviews generally agree that the tour takes you to outstanding locations and that guides are both friendly and knowledgeable. Ideal for people who want to visit the area North of Lisbon without the hassle of organising independent travel. An opportunity to immerse yourself in a vital part of Portuguese heritage and culture. A unique and entertaining way to spend an evening in the city. 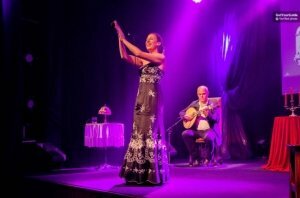 Take 50 minutes of your evening to experience a traditional live Fado performance. Enjoy the performance from one of the best Fado venues in Lisbon. The best live Fado in Chiado performance has earned a notable 4.5 out of 5-star rating on Viator, TripAdvisor, and Get Your Guide. Hundreds of travellers have reviewed this 50-minute performance and most agree that it is an authentic and intimate experience that they would highly recommend. If you're a fan of traditional music or open to new experiences then a Live Fado in Chiado show will be right for you. Suitable for all ages and nationalities. A combination of cultural heritage, live music, Portuguese food tastings and sightseeing. A comprehensive and sociable 3-hour Lisbon walking tour. Learn about the Portuguese Capital with an expert local guide. Taste the national beverage, Ginjinha, in a popular Alfama tavern. Enjoy a unique Fado performance and finish the evening with a Tapas dinner and wine. Liquor tasting, Food and drinks. This combined walking and Fado tour has a 4.6-star rating on Get Your Guide and 5 out of 5-star feedback on TripAdvisor and Viator. Reviews say that the guides make this walking tour both entertaining and interesting. Most travellers agree that the tour offers an ‘authentic' introduction to the city. Ideal for a people with a variety of interests, this tour will appeal to people interested in food, music, history and local culture. Suitable for anyone over the age of 12. An opportunity to discover the wonderful countryside surrounding Lisbon and visit picturesque towns within the Arrabida National park. A fully organised tour which will take the stress out of planning your Lisbon excursions. Cross longest bridge in Europe. Visit a castle dating back to medieval Moorish times. Taste homemade Portuguese wines in at an authentic wine estate. Enjoy the natural beauty of Arrabida National Park. One of the best excursions available from Lisbon, this day tour gets a 4.8 out of 5-stars from Get Your Guide users and a solid 5 out of 5 from Viator and TripAdvisor. Travellers say that this is a ‘super day out', informative without be fact-heavy, and lead by easy-going guides. This tour should appeal to a variety of personalities and ages. The full-day tour offers a combination of sightseeing, history, and food/wine culture. This is an opportunity to visit the fairy-tail castle commissioned by King Ferdinand the II. An independent tour and time saving ticket. Visit one of the ‘7 Wonders of Portugal'. Enjoy the freedom of a self-guided tour. Save time with skip the line entrance to the Palace and gardens. Travellers have given the fast track ticket a 4.4 out of 5-star rating. Comments say that the ticket is easy to use and hassle-free. The Palace itself has been reviewed by over 13,000 TripAdvisor users who have given the attraction a 4.5 out of 5-star rating. Ideal for people who prefer to travel without a guide or tour. 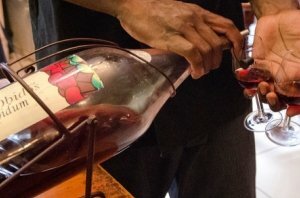 A unique chance to taste the very best traditional foods and locally produced beverages. A historical and sociable 3-hour city tour. 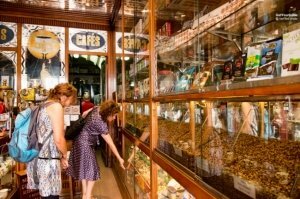 An introduction to the Portuguese Capital and it's gastronomy. Explore the city with a knowledgeable local guide. Taste a variety of foods in popular venues around the city. Sip a selection of wines, port, and a fiery local liquor. Food, wine, port, and liquor tastings. This compact tour is aimed at people who enjoy wining and dining whilst actively visiting the city. Great for anyone looking for a unique introduction to the city. A convenient time saving entrance ticket for one of Lisbon’s most popular attractions. Lisbon Oceanarium is the best place to observe a variety of sea life. This Oceanarium hosts over 8,000 sea creatures. Get priority entrance to Lisbon’s Oceanarium. Explore the mesmerising deep blue sea at your own pace. Marvel at over 500 different species of fish. See vibrant coral reefs, real live sharks, and the last surviving sea otters in Europe. 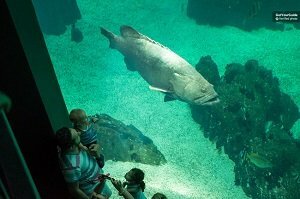 Travellers have left thousands of positive reviews for Lisbon’s Oceanarium. The attraction has a 4.5-star rating on Trip Advisor. Travellers would tell you that it’s an intriguing attraction and a wonderful way to spend a rainy day in the city. Comments generally agree that skip the line tickets will save you a lot of time. Suitable for all ages and accessible for people with mobility difficulties. 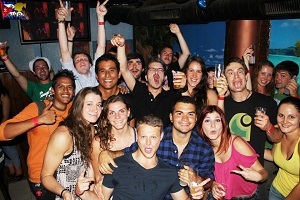 The tour takes visitors to three pubs and a club for a great nightlife experience Lisbon is known of. Travelers visit a few of the best nightlife venues in the city and enjoy free and discounted drinks. The tour allows participants to have a great time and meet people from all sides of the world. Have a great time dancing and meeting people from all around the world. Tour a few of the finest nightlife venues in the party city of Lisbon. Have free and discounted drinks and get tips on how to enjoy the Lisbon nightlife scene. Knowledgeable local guides lead the entertaining tour. Welcome drinks and one hour of open bar with unlimited quantities of sangria and beer. Discounts for beverages of your choice. Free entry to three bars and a club. "It was a really nice experience." Joining the tour is highly recommended for fans of excellent nightlife. Sangria and beer devotees should enjoy the experience in particular. Taking the activity is the right thing to do for cosmopolitan people wishing to make friendships. The tour of Luz Stadium, the home stadium of FC Benfica, one of the most popular football clubs in Portugal. A chance to walk the lawn, visit the press room and hear interesting facts about Benfica and its stadium. Cosme Damiao Museum displays exhibits relating to Benfica's celebrated past and its legendary players. Visit areas of Luz Stadium normally reserved for players, journalists and the officials of the club. Admire panoramic views of the big stadium and access the football pitch. Tour the on-site museum honoring Benfica's celebrated past and Eusebio, one of its greatest players. A guided tour of the Luz Stadium. Access to the SL Benfica Cosme Damiao Museum. "excellent value and really interesting museum..."
"Great tour can’t fault it"
"Stadium is beautiful and so good organized." The tour of the great stadium is a highly recommended activity for fans of football. Supporters and admirers of FC Benfica shouldn't miss the activity. The Luz Stadium tour is suitable for people of all ages. This tour is an overview of the street art culture in Lisbon and of the contributions to the city by local and international artists. The tour takes visitors on a discovery journey far away from trodden-tourist-paths of the Portuguese capital. This is a unique opportunity for visitors to Lisbon how derelict buildings throughout the city became masterpieces of art. 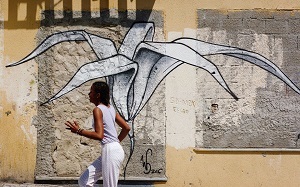 Visit different areas of Lisbon in search of the top local street art masterpieces. Admire paintings whose artists drew inspiration from nature, mythology and fantasy. 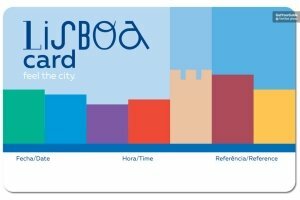 Learn about the Chrono Project and how it transformed Lisbon into one of European urban capitals. A small-group tour led by a knowledgeable guide. Transportation by minivan with air-conditioning. Pickups and drop-offs at pre-arranged points. "The tour was very intersting." "I would do the same tour on my next visit." "This is not graffiti but a true art expression in of itself." This is a suitable activity for every true devotee of art. The street art guided tour is a great way of discovering the true Lisbon away of its tourist areas. The tour is a comprehensive overview of Lisbon's most emblematic attractions and neighborhoods. The tour covers the National Pantheon, Saint George's Castle, Se Cathedral and Commerce Square among other top points of interest. The environmental-friendly tuk tuk allows the participants to get around efficiently and effortlessly. Discover the city of Lisbon, its history and top tourist attractions. Discover the areas boasting the best Fado restaurants and learn about the Age of Discoveries, which brought glory and wealth to the Portuguese Kingdom. See Lisbon (Se) Cathedral, the former Moorish castle of Saint George, Commerce and Rossio squares and many other landmarks and attractions of the city. A private tuk tuk ride. Assistance of a certified guide. "Our guide, was very nice, smiling and knowledgeable!" "This tour was so fun"
"I highly recommend this tour !" The tour is a perfect introduction of Lisbon to first-time and repeated visitors. The activity caters to travelers interested in history, art, culture, great dining and grand structures. The guided tour is suitable for people of all ages. A day trip to Evora, a UNESCO-listed Portuguese city with a stop at a local wine estate. The city abounds with noteworthy attractions, such as the Chapel of the Bones, Evora Cathedral and the Roman Temple. The tour offer insights about the producing practices of Portuguese wine and wine tastings. Enjoy a trip in a minivan through attractive Portuguese countryside on your way to Evora. Tour main landmarks of the UNESCO-designated city of Evora, such as the Church of San Francisco, Evora Cathedral and the Roman Temple. Acquaint yourself with the Portuguese wine and the wine-producing techniques at a local farm. Transport by a minivan with pickup and drop-offs. Assistance of a licensed tour guide. 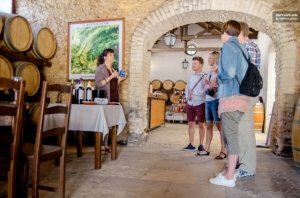 Wine and olive oil tastings. "The wine tasting was absolutely delightful..."
"The trip to Evora was the highlight of my week in Lisbon." "The sights and history of Evora came alive..."
You should join the tour if you are a fan of history, art and first-class wine. The tour caters to travelers wishing to learn more about the Portuguese nation. Join the activity if you are interested in various religions and cultures.